Multiple landmines exploded on the city's central highway, while several districts were shelled by militants. A local children’s hospital also came under attack, according to the media outlet. — Akhbar Arabia (@Akhbar__Arabia) 18 июля 2018 г. ​Around nine people were injured and one killed as a result of the attacks, although there is no official confirmation, the media outlet reported. — RT Arabic (@RTarabic) 18 июля 2018 г. 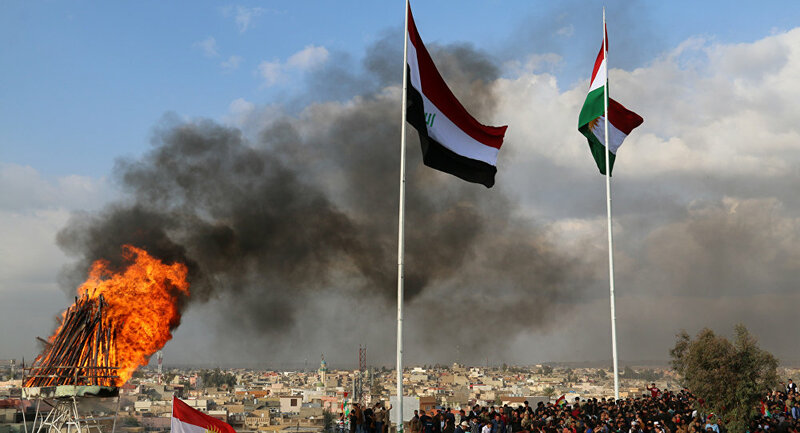 Recently, the Kirkuk governorate has been hit by a number of terrorist attacks. In late June, the remains of hostages, all reportedly members of Iraq's Popular Mobilization Forces, were found by Iraqi security forces on the Kirkuk-Diyala road. On July 1, media reported that one person was killed and 21 others injured in a triple explosion that hit a warehouse storing ballot boxes from the May elections in Kirkuk.